A dive computer gives you all the important information you need to dive safely, in real-time. Without one, you’re stuck working with a dive watch, dive tables, and a depth gauge to figure out vital calculations like decompression time, safe diving time, etc. A dive computer does everything depth gauges and dive tables do in one convenient package, and lets you spend more of your dive having fun rather than racking your brain and trying to do mental math or guess about your safety! Can you dive without one? Sure. Do you really want to? I don’t think so! Computers allow you to be much more flexible, spontaneous, and just plain safe under the waves. Dive computers can cost anywhere from $150 to $1,500+ USD. Recreational divers probably don’t need to spend more than $500 USD, if that. You can get some really great models for less, and you’ll only need to pay more if you want a technical computer that features air integration. Typically, serious divers and more experienced folks who want air integration would want to purchase the top-of-the-line computers. An exception might be if you’re a committed newcomer with an ample budget, who wants to start right out with air integration. More expensive computers have more versatility with gas mixes, algorithms, and navigation settings. The more you spend, the more customizable your computer will be overall. You’ll also pay a premium for air system integration. Some computers are “independent,” which means that they work on their own. They’ll replace a few pieces of your dive equipment (depth gauge, compass, etc. ), but they won’t actually connect to your air system. For the majority of recreational divers, they’re all you really need. 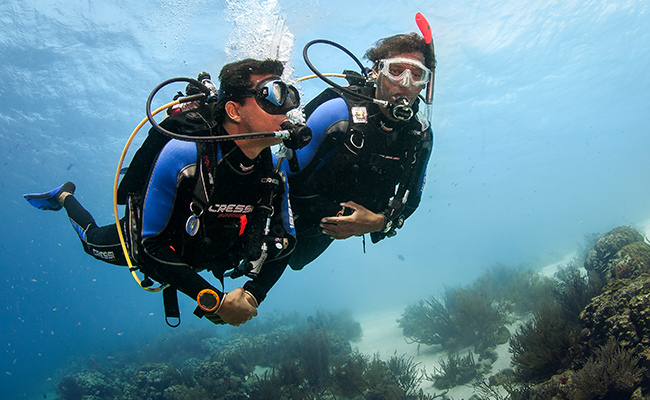 Most technical (and more expensive) dive computers are “integrated,” which means that they connect to your regulator and air supply. A computer with air system integration can actually track the air in your tank, and give you dead-on calculations. Most recreational models don’t have air system integration, which keep costs down for your computer and for the rest of your gear. Your computer figures out dive times and no decompression schedules by plugging in data like depth, time, and pressure into an algorithm. Some even have multiple algorithms on the same model! There are lots of different algorithms used, and they each have a bias. They’re all more or less conservative, meaning they’ll take either more and longer stops or fewer and shorter stops. The same is true of their no-fly recommendations and total dive time allowances. When you’re comparing dive computer options, be sure to get a sense of the relative conservatism of each model. The less experienced you are, the more conservative a computer you want. You never want to take any chances when you’re starting out. Even experienced divers like me often use more conservative algorithms to stay safe. Your own body is as important a consideration as your experience level. 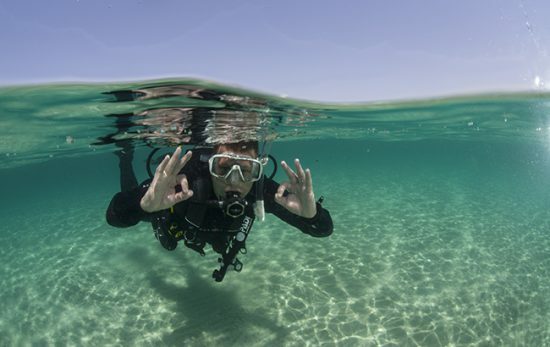 If you’re more susceptible to decompression sickness, you’ll want to stick with conservative algorithms, regardless of experience. The best dive computers give you a few different algorithm options. Backlight: I would never buy anything without a backlight. You might not think you need one, but a backlight is one of those things you really want to have if something goes wrong. Water-activation: Water-activated dive computers turn on and start calculating as soon as they hit the surface. Since all of us forget to turn things on sometimes, this is one convenience you don’t want to do without. It’s better to pay a bit more and be able to trust your computer to work even when you forget to tell it to! Alarms: alarms are the feature that guarantee you’ll see urgent alerts when you need to, because even the most attentive diver occasionally forgets to look at their computer. Look for alarms that are adjustable and easy to program. You want to be able to use whatever is going to catch your attention, whether it’s noise or flashing lights. Basic display features: any good dive computer should show you the basics at a glance. Those are: maximum depth, current depth, dive time, and no-fly/no-stop time. Think about where you are now with your experience level and dive habits. What kind of dives are you doing now? Where do you want to be a year from now? Will you be happy with something basic, or do you want lots of room to grow? Knowing your own preferences is the most surefire way to insure you’ll be happy with the computer you buy. So, try as many as you can while you’re at the rental stage. Go to shops and play around with demo models. Can you see everything you need to? Does it fit well with your wrist/equipment? What about the display? Is it set up in a way that makes sense to you? Do you find it easy enough to navigate? *Do you like to take an extra deep stop? 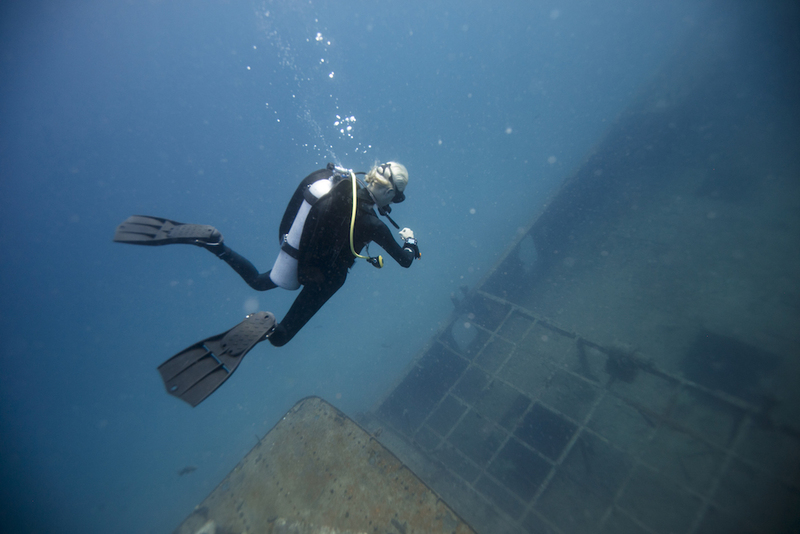 This practice has been shown to have noticeable benefits over the traditional safety stop pattern, so look for deep stop features on newer dive computers. If you want to get super technical, this study breaks down all the reasons to take deep stops in detail. Josh Kaplan is a passionate scuba diver, shipwreck explorer, and world traveller. He’s always exploring new destinations around the world and writing about them for various publications. 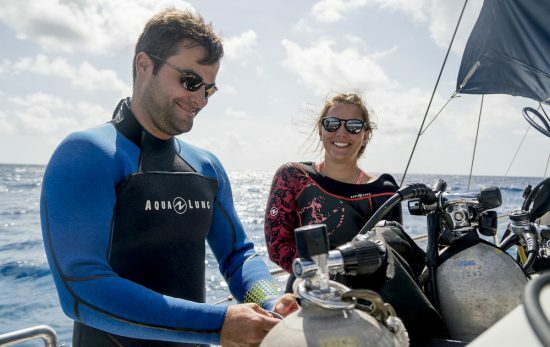 He also reviews dive gear and writes buying guides for scubalist.pro, a site which aims to connect divers with affordable, high-quality equipment. The Proper Dive Buddy Check – How Do You Say BWRAF?